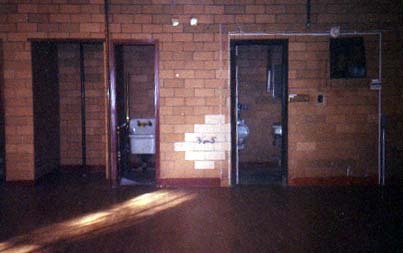 The 1st Floor of the Boston Firehouse after the Firehouse had been returned to its original condition. This picture was taken through the windows of the Garage Door looking north towards the areas that were renovated into the Living Room, Kitchen and Billiard Room. 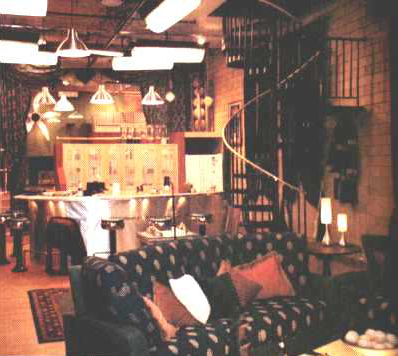 In comparison with the picture above, the 1st Floor during the filming of the series. This picture was taken from the Living Room looking towards the Kitchen and Billiard Room. 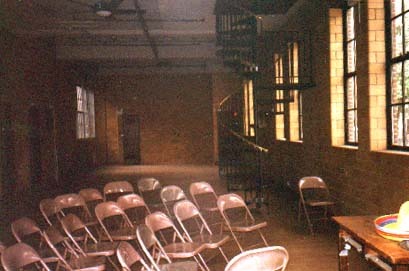 This picture was taken from where the Kitchen was located during the filming of the series looking towards the west wall. Through the doorway to the left, you can see the fire pole extending down from the 2nd floor. The other two doorways were covered with shutters during the filming of the series.